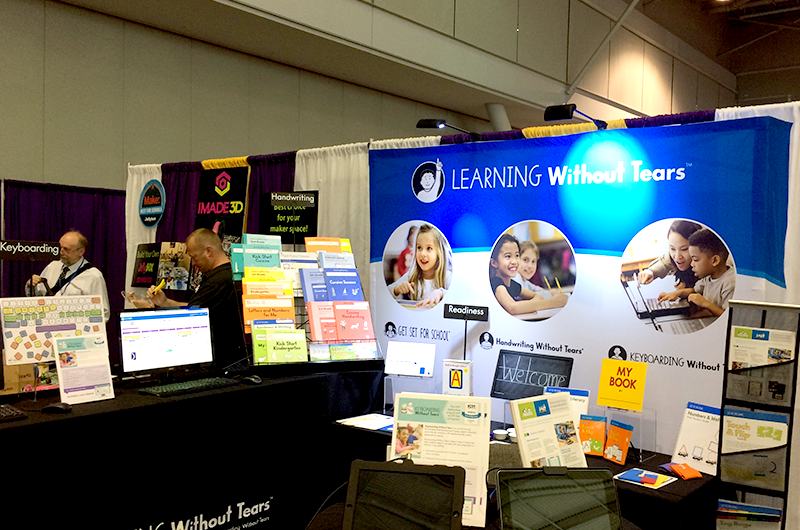 Learning Without Tears™ had a blast connecting with educators from all over the world at this year's International Society for Technology in Education (ISTE) conference. We were a part of the nearly 20,000 technologically forward educators from near and far who gathered to discuss, listen, and brainstorm how to solve problems in education using technology and crystallize the visions of students planning for a future in STEM. Over a four day span, we attended various types of interactive sessions including Bring Your Own Device (BYOD) and Interactive Playground sessions, perused poster presentations given by students and teachers, sat through amazing keynote speeches, and of course played around with new technologies. We are excited to integrate the lessons we learned into the creation and maintenance of our technology tools to continue to keep students inspired and to keep education moving forward. We have already started ensuring that our handwriting curriculum stays abreast of advances in technology with the creation of HITT (The Handwriting Interactive Teaching Tool™), a digital instruction technology equipped with animations, video lessons, and music that allows students to practice letter formation digitally. HITT is used with Handwriting Without Tears® student workbooks to enhance handwriting instruction. Another one of our programs for which technology is used in the learning process is Keyboarding Without Tears®. The program not only teaches students the basics of typing and digital citizenship, but it also infuses lessons from other subjects such as history and math, creating a cross-curricular learning experience. We are committed to continuously learning about advances in technology and using them to help students succeed. We cannot wait to see you at next year’s ISTE conference!